A casual look from two weeks ago with the pictures taken after work. 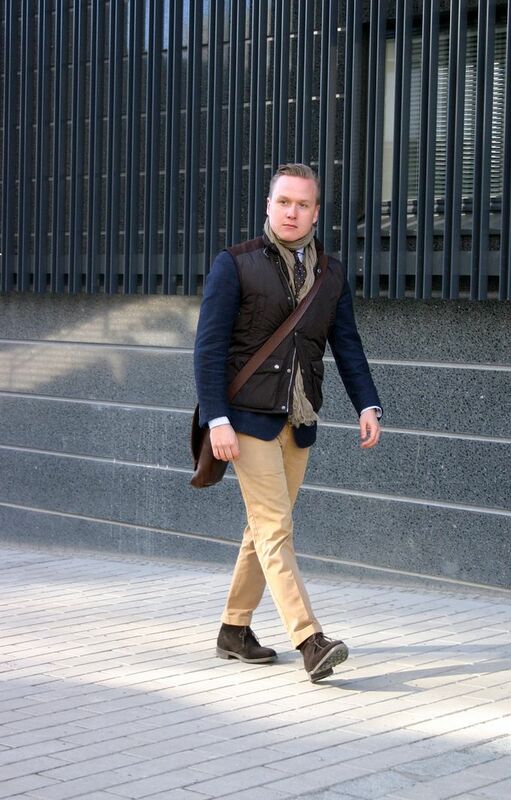 Weather was pretty good, but not warm enough to go out with only a sport coat and a scarf. 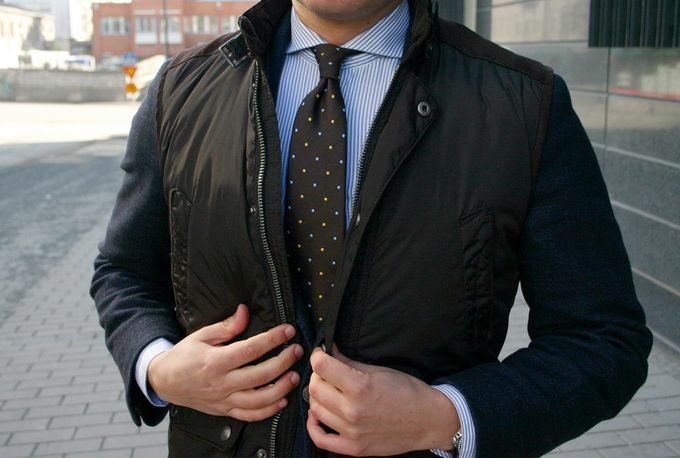 Jacket from SuitSupply, padded vest from Zara, shirt from SuitSupply, tie from The Silk Company of London, linen scarf from Massimo Dutti, belt from Equus Leather, chinos from Brooks Brothers, socks from Pantherella and boots from Loake. Quite like this picture. This tie has been a good "workhorse tie" for a long time and ties a beautiful knot, just like here.